FTC : I requested this for a fair and honest review. Lets start with a warning; this is a series read. No, I didn’t realise this when I picked it up but, although there is obvious back story I now need to fill in, I didn’t enjoy this any less for not reading the other books. This book is pure fantasy, set in a world where love crosses class, and species, boundaries and magic is rife. It had such a lovely message. Although Jana is the heroine of the book, she isn’t special at the start. Best friend to the future king, step-sister to the heart mate of said Royal and weak spell-caster, she doesn’t seem to have a role by herself. I knew there had to be more. Once she called Darach to help her protect the Prince her destiny starts to become clear. 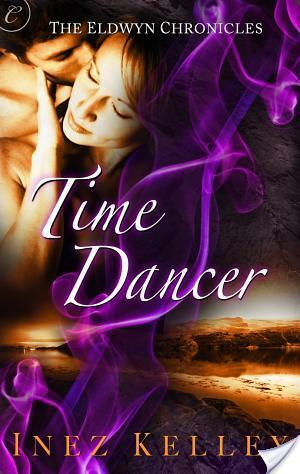 Jana is a Time Dancer, a mythical being, powerful enough to travel through the histories of bloodlines. Using the guidance of Darach, she masters her gift well enough to try to solve the mysteries of whoever is trying to kill the Prince. I really enjoyed her determination and grit. She tries to help the people that she loves and I respected her decisions and actions. Watching her fight with lack of feelings towards the Captain who professed her love for her on his death bed was quite heart-breaking; her guilt was misplaced but it showed how much compassion she had towards others and fit well with her actions in the rest of the book. She literally risked everything in her quest to save the Prince and was quite simply one of the most selfless heroines I have come across in sometime. Sometimes, this did grate slightly. I wanted her to grab onto her life with both hands but she kept trying to let it pass by so she could protect everyone else. Darach is a spell who became a man. Watching him trying to wrestle with the actions and feelings that his human shell experiences was both fun and endearing. Looking at this world through the eyes of someone who has never experienced the true horror of how humans can treat each other was quite refreshing; the scene where he named and fed the little boy who had been abused made me tear up a little and cemented his place within my heart. I adored the way he struggled with his feelings for Jana, knowing well that their relationship was doomed from the start. He worshipped her, knew her true strength and tried to guide her into it, generally being the perfect hero. He and Jana together were an amazing couple. They complemented each other in a way that was truly lovely to read about, with both helping the other develop into their full potential. He helped her develop into her powers and she helped him develop into a man; it seemed that they could get to a place where they were on level footing to be together but of course of true love never does run smooth. I do think I missed out on some of the finer details of the plot by not reading the other two in the series. I almost never review books in the middle of the series but, before I realised that that was exactly what I was doing, I was hooked into the tale and couldn’t put it down. This is a world full of myth and legend and it was brilliantly created. I loved reading the threads of time that lead to the current tale, each one adding a depth to the plot. Overall this book was a lovely fulfilling read. The main romance kept me hooked and I adored Darach to the point I think I may adding him to my book boyfriend list! I will be buying the other two to fill in all my blanks.